In environments where constant monitoring of a patients temperature is vital, our Covers for Infrared Thermometer x 40 pack is the one resource you'll want to make sure is fully stocked at all times. Helping to avoid cross contamination and maintain your optimal hygiene record. 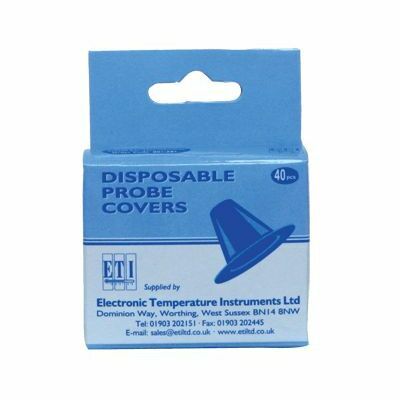 Provided in a sizeable pack of 40, these disposable probe covers can be used with infrared ear thermometers to keep the previously sanitized tip clean for repeated use. They are easily applied after cleaning and the large pack size ensures that, no matter how many patients you have on your rounds today, you'll always have the cleanest and most hygienic tools at your disposal. Each cover has been designed to be fully compatible with our Infrared Thermometer.